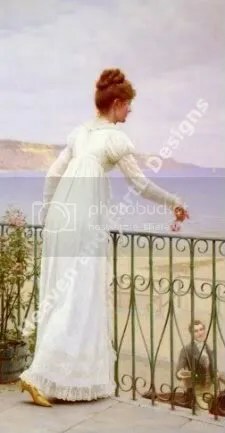 In May I joined the Lizzie*Kate Exchange Blog and promptly joined in with the first exchange open to me. I had a really hard time deciding on which chart to stitch, and an even harder time figuring out how to finish it. I mean, my stitching is good, but I don’t have a lot of finishing experience since I haven’t been particularly adventurous when it comes to finishing off my stitching. To tell you the truth I was getting really anxious about the whole thing, especially as the standard of finishing amongst the rest of the blog members was really high. 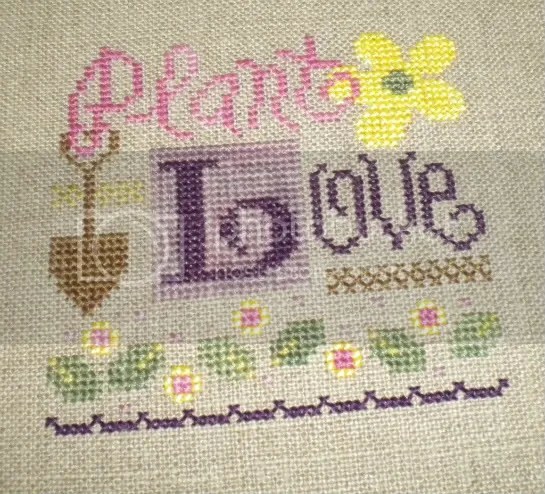 I finally decided on a pattern, Plant Love from issue 28 of The Gift of Stitching, which stitched up quickly. I used 32-count natural linen, and floss from my stash, a mixture of DMC, GAST, WDW and Dragonfloss. Then I had it lying around for a few weeks before I figured out how to finish it. By coincidence I had picked up some paper mache boxes at a store near us, and had the bright idea of trying to mount my stitching on top of one. How hard could it be, right? As it turns out, not too hard actually, provided you have the right tools of course. Before mounting it I painted the box in white, then I attached the stitching to some mounting board, together with some wadding and finally used my dinky new glue gun to attach it to the box top. I trimmed the bottom of the box with some adhesive ribbon and trimmed around the top with some purple cord. All in all I was pleasantly surprised by how nice it looked, one of the favorite things I’ve made so far. My partner, Conny, got it without any problems, and I think she liked it. It’s so beautiful, and it really inspires me to keep trying new finishes, I’m determined that a few of my Christmas ornaments this year will be made up using this flat finishing. After all, with this perfect example how can I go wrong? Round D is getting close to send off dates and I have of course signed up, so hopefully you’ll get to see pictures from that in the beginning of October. This is one of the first finishes I had after we moved. I had some how managed to leave all my WIPs and all my fabrics behind in Liverpool, and all I had here was some charts and fabric. But after some eBay retail therapy I had more than enough to get on with some new projects and as I said this was my first finish back in May. I love how this design combines traditional and modern, it’s so different from their other designs, but still very Lizzie*Kate-ish. 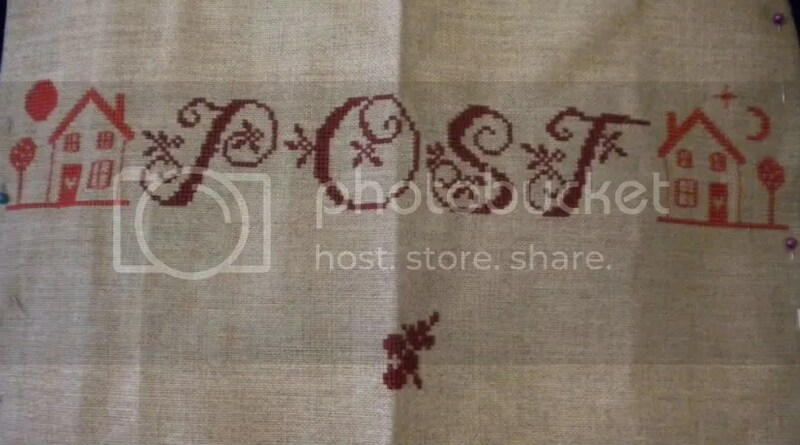 I stitched it on 28-count antique white cashel linen using Polstitches Dragonfloss Sweetheart, I left out some of the design on the borders as I was running out of floss but I think it looks nice like this, definitely my own. 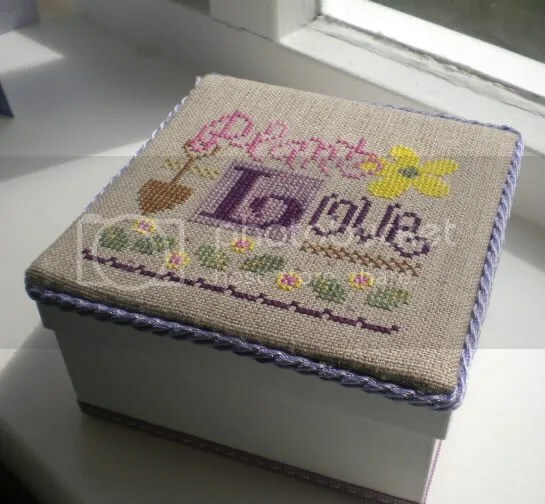 I thought I’d take a leaf out of my friend Kell‘s book blog and instate Stitchy Saturdays here at Wikkid Woman. All in the name of getting some structure into my blogging and life 🙂 So for this first Stitchy Saturday I have a finish to share with you and some progress on other pieces. Framing the A and bottom square– Dragonfloss 113 Greetings. 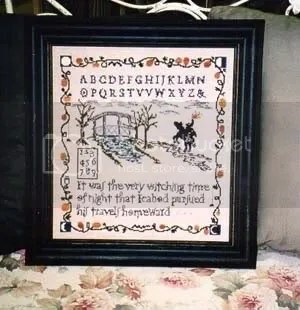 As for my progress, the one I have worked on the most is Raise The Roof – Sleepy Hollow Sampler. 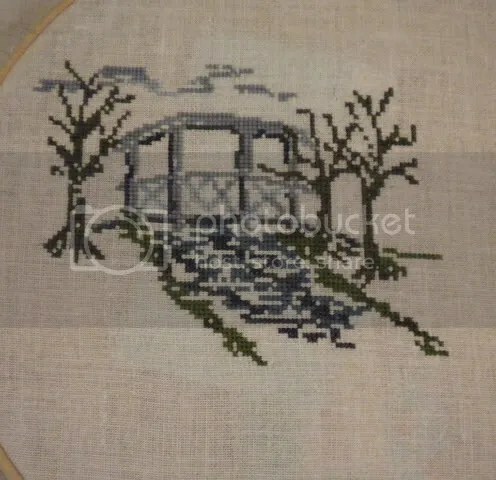 I just LOVE stitching this one, it’s so sketchy and atmospheric. I started stitching it on Day 5 of the challenge and have finished most of the middle motif now. 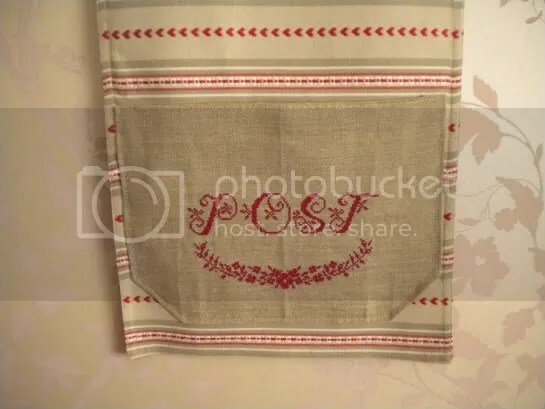 I’m really enjoying the specialty threads, the GAST seems a bit wooly (maybe that’s just me, but I love the texture) and the WDW is just lovely too. Another piece which has seen a little progress is the wall hanging I’m making for my mum. I finished the motifs on either side of the text and started a flower border thing at the bottom, but then I decided I don’t like the houses on either side and I’m gonna frog them and just have a flower border above and below. This was my first start of 2011 and it’s one I need to finish pronto so I’ll be picking it up again shortly. I have my first two finishes of 2011. The first one is a long time coming, I’ve spent almost exactly one year on it. 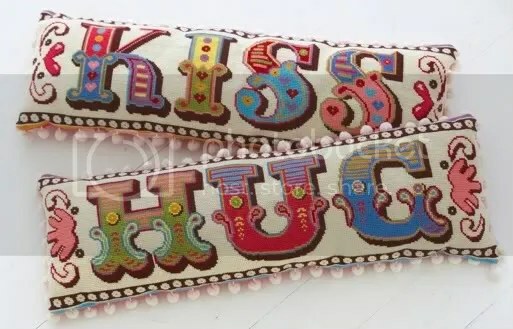 It is of course the Emily Peacock ‘HUG’ cushion. It still needs to be made up into a cushion, but I’m leaving it until the hot water bottle cover and wall hanging is stitched so I can have a finishing day with Paul’s nan and get them all done. I haven’t actually bought fabric for it yet, in the instructions they use pale pink cotton, but I was thinking maybe a fuchsia silk fabric (I was eying some up at Abakhan the other day). I’m so relieved it’s done, it’s been hard going from start to finish really, the big stitches and the block colors really drove me crazy, it made it so boring to stitch. It looks great finished though, and once it’s a cushion it’ll look even better. Now I just need to finish ‘KISS’ so I have a match set, that thought is the only thing which will make me finish it. 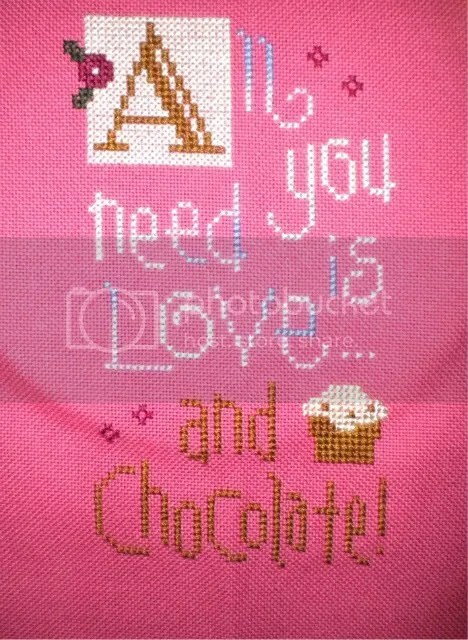 As mentioned before, this was stitched on 11-count aida using the charted DMC floss. My second finish was far more fun, and quick. I started it as part of the Crazy January Challenge, it was my day 6 project I believe. 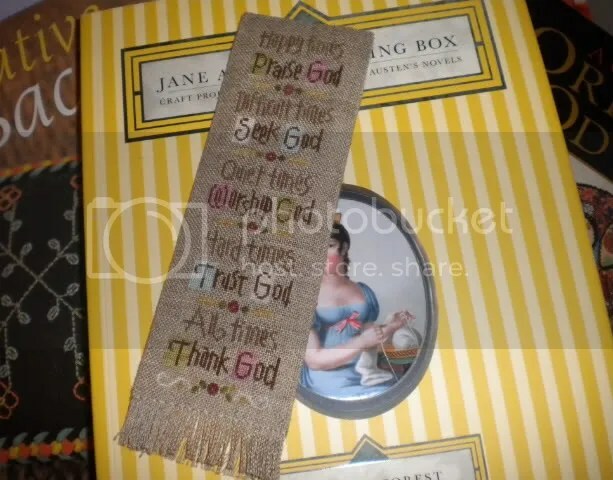 It’s a Lizzie*Kate design called Time for God, which I stitched over one on 32-count linen so it would be the perfect size for a bookmark. 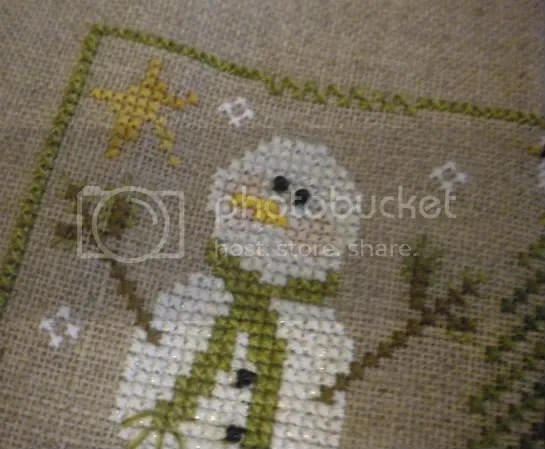 I had seen a fellow Crossstitchforum member do it, and was immediately inspired. It will be a gift for my SIL’s mum, who will be 60 in the next few weeks. 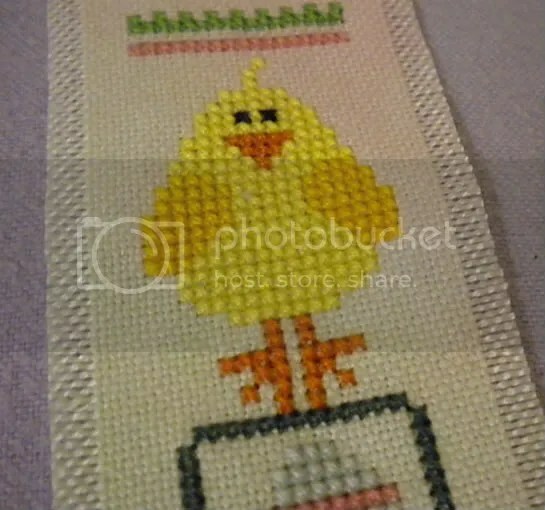 She is the only person I know who is christian (not just Christmas and Easter), so I just knew I had to stitch this for her. I used the charted Weeks Dye Works with this design, and the fabric was DMC 32-count Raw Linen. I have a couple of other finishes too, but the pictures for those will have to wait until they arrive at their new homes. I thought it might be a good idea to list my current WiPs now that my 15 projects from the ‘Crazy January challenge have been started. I’m thinking week long rotations once I’ve finished the deadline ones, one of the big project a week plus one small one for distraction. Of course the Christmas Ornament and Snowflake biscornu will be replace with by a new biscornu for February and a new ornament as well. 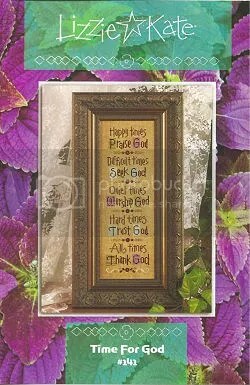 For now I’m focusing on finishing the Time for God bookmark and biscornus. You might have noticed I didn’t bother with New Years Resolutions this year. Last year’s were ok, I kept to most of them, but didn’t want to do it like that again this year. For 2011 I’ve decided I want to go with monthly goals. On the 1st of each month I’ll post my goals, some will be the same month after month, others will be month specific. On the 1st I’ll also post a summery of how I’ve done on the month just gone, just to keep score. I realize we’re almost at the end of January, but I really think I should post the goal for this month, after all one should start as one means to go on. I’m sure I had a few more, but those are the ones which came to mind. Please come back on the 1st to see February’s goals and so how I got on with this month’s list. Do you have any goals for this month, or this year? A little bit late in posting this, hubby has been hogging the mac lately (too be fair, it is his work computer). 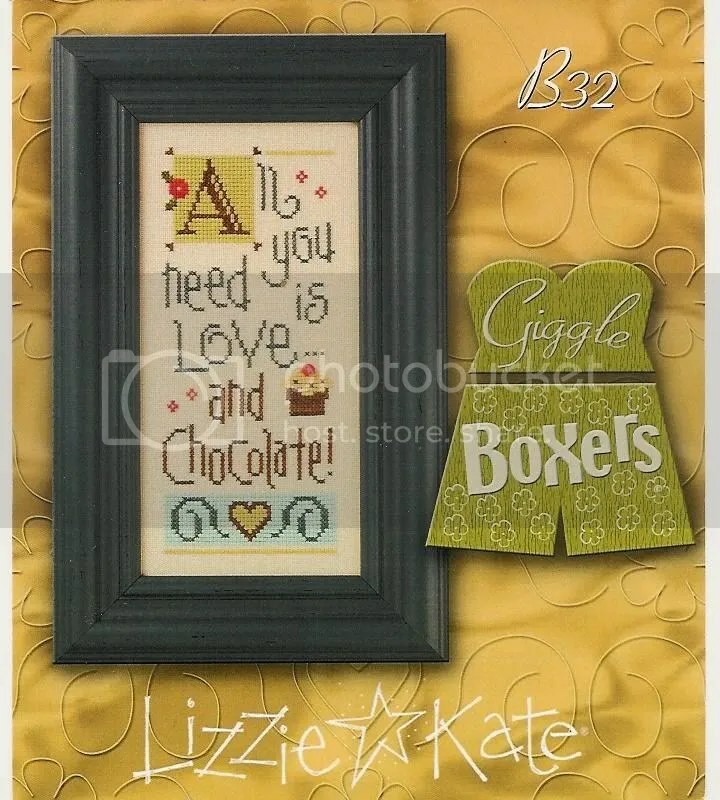 For day 12 I decided to start another Lizzie*Kate design, ‘All You Need Is Love’, I was somewhat spurred on by the arrival of my lovely new stash, and as I didn’t have the specialist threads needed i decided to pick ones from my stash. Mostly I’ve gone with Dragonfloss, although I’ve used some of my Madeira as well. For anyone interested, here is the floss I used. Brown – Madeira Silk 2008, Cream on cupcake – Madeira Decora 1523, Flowers – Dragonfloss 201 Sweetheart, Leaves – Dragonfloss 2-6 Wood Elf, Variegated writing – Dragonfloss 115 Hugs with Stitches, Around the A – Dragonfloss 113 Greetings. I stitched it on 25-count Fuchsia Lugana, 2 over 2. I think the Zweigart evenweaves must be my favorites to stitch on. I stitched most of this on the 12th, but picked it up again today to do some more. It’s just so much fun. For my 13th project I made a change to my list. 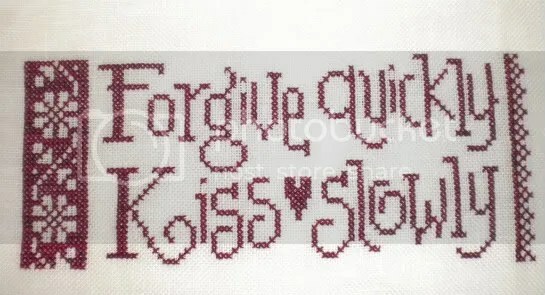 I had originally planned on stitching hubby a card, however I found a perfect one in the shop so didn’t need it. 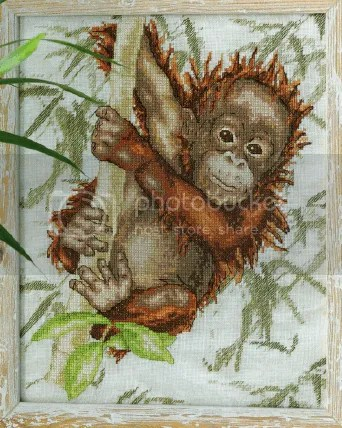 Instead I’ve decided to add another biscornu, I’ve signed up for an exchange so need to stitch it asap. It’s Valentine’s Day themed so I’ve gone really pink with this one. 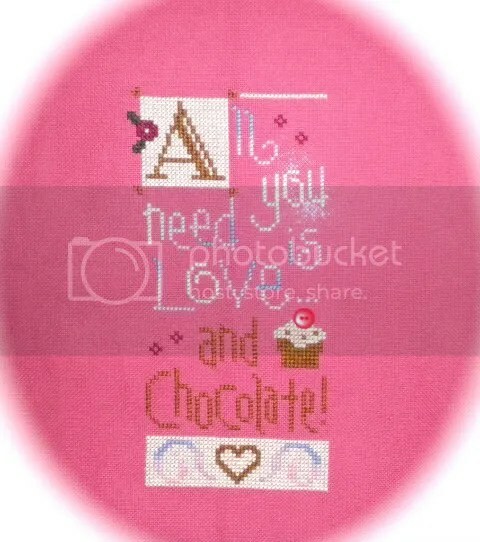 I’m stitching it on Polstitches Love and Kisses (I think) aida, and have so far used Pomme de Pin Pimprenelle and Pomme de Pin Evanescence. Didn’t get a lot of stitching done, just the middle part. Made a couple of changes (changes or additional info in bold) so provided I get my new stash in time this is it now, I have until Day 9 before I need any of the supplies though so it should be fine. 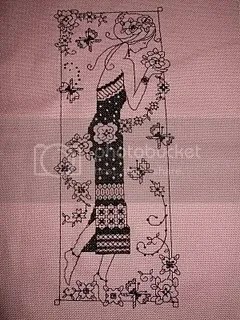 Starting with item 3 today, my mother’s wall hanging. Will give you an update at the end of the day. Now it’s bed time though, so nighty, night! 3. 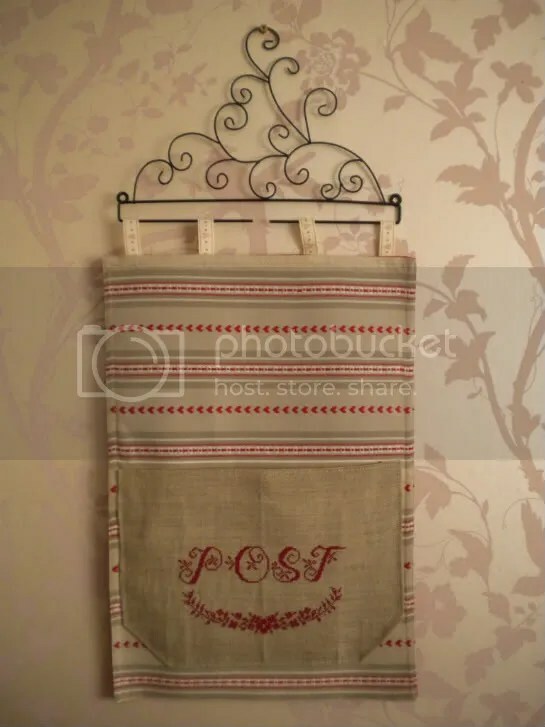 A cross stitched wall hanging mail organizer (is there a better name for them?) My mom wanted one so I’ve found an alphabet I liked along with some motifs. 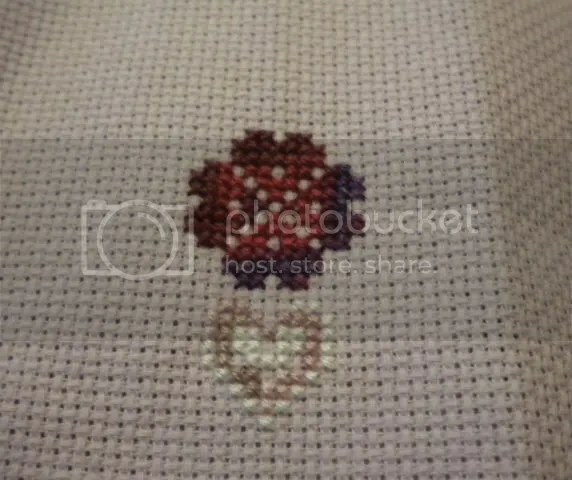 Stitching this freebie (scroll down a bit for Coeur), and adding the names and date inside the heart. 8. 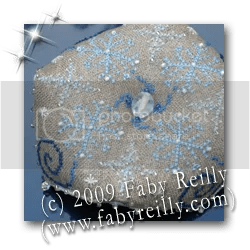 Snowflake biscornu by Faby Reilly – Decided I want to do a Basket of Biscornus this year so it’s a good a time as an to get started. 12. 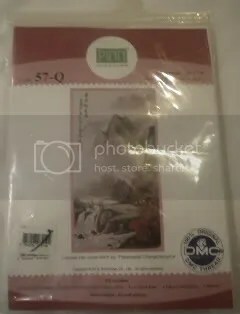 2011 Birthday Cards – will try and do better this year with cards out at the right time etc. 14. Hot water bottle cover – will be stitching this straight on to fleece using waste canvas. Going to use a few different monochrome motifs, winter themed. 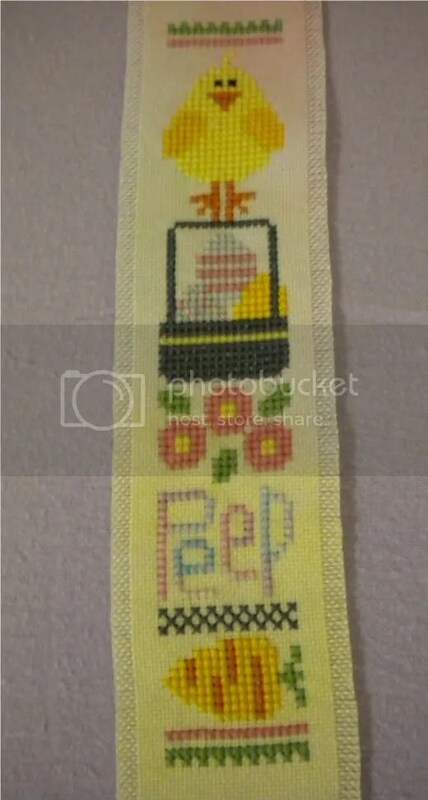 This is a SAL I signed up to Summer 2010, I ended up not having the time to stitch it then so though this would be a great time to stitch it. Plus my list needed something summery. In a fit of madness I’ve signed up to the Crazy January Challenge 2011, masterminded by Minna. 1. Start stitching a new design every day, from January 1st to January 15th. So by January 15th you have 15 new WIPs to stitch! 2. 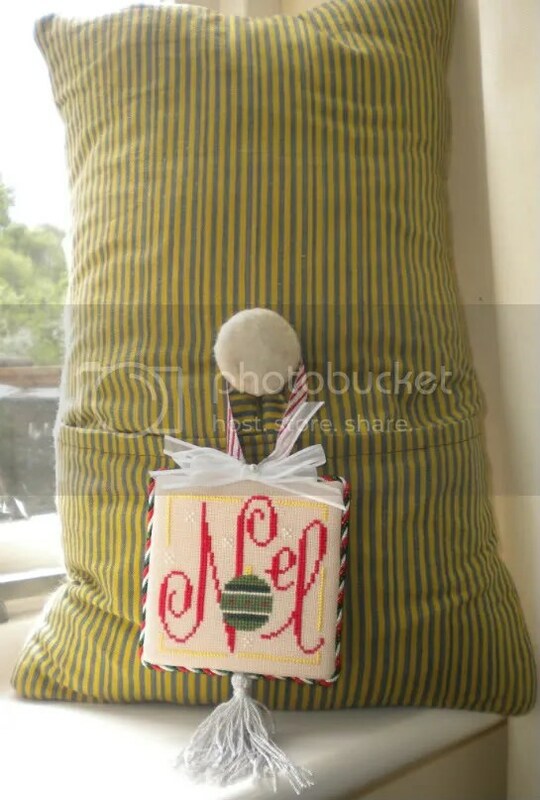 Finish everything you started stitching during the year 2011. 3. 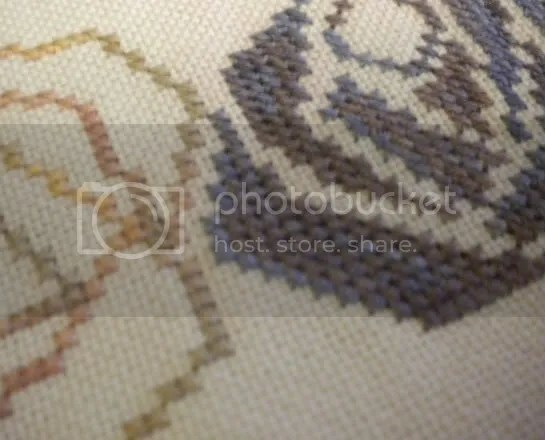 Show photos in your blog if you have one, in January and during the whole year while you stitch. 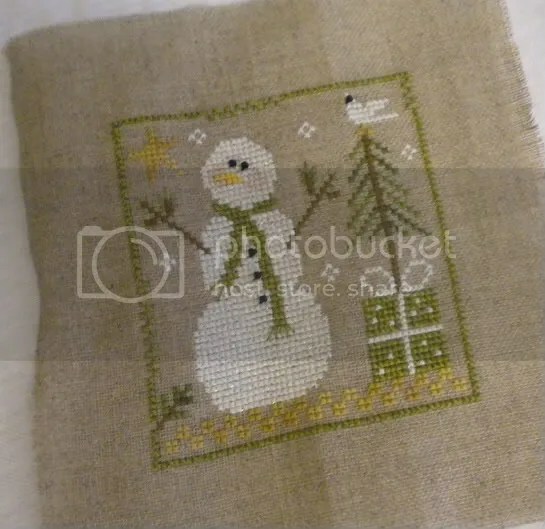 I have a few projects I want to start so this is the perfect excuse, I haven’t quite put 15 together yet though, but I’m sure I’ll have it sorted before it’s time to stitch it. Will just stitch the sorted and kitted out ones first. First up, hubby’s birthday I’m thinking xbox related.